The main reason why most of the people get artificial turf installed in their house is to get the look and feel of the grass without going through the hassle of sowing, tilling, mowing, etc. It is a bit subjective to find the most realistic looking artificial turf. Some may love deep green, luscious turf while others like a shorter pile of height grass, so it is entirely dependent on the person's perspective. Look of the Grass- Color plays an important role when it comes to the realistic look of grass. The artificial grass manufacturing companies these days are offering various colors of grass to their customers, from blue grass to hot pink there are a wide variety of options available in the market. If you want to get your hands on realistic grass, then try a mix of subdued shades of green. They look more realistic when compared to the solid green color. The shape of the grass also matters; thin cat's eye will feel much softer than the usual grass. Feel of Grass- The infill and material of grass play a vital role in deciding the feel of grass. Various types of substances can be used for artificial turf infill. If you want firm turf, then sand infill may be perfect for you. Likewise, for different purposes, you can pick artificial grass with various kinds of infilling. Purpose- It is essential to know your purpose before picking the best realistic artificial grass. Do you want to get the perfect lawn look or do you want it for any sports purpose or just for your dog runs; whatever reason it is your purpose determines the material that you have to pick. 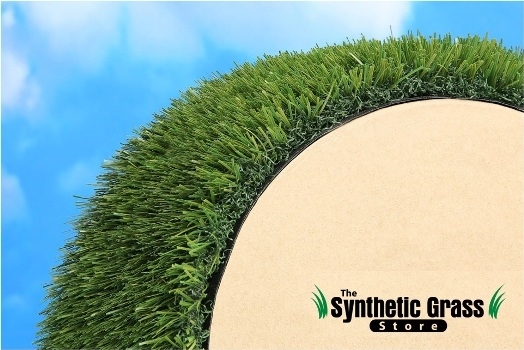 If you want the best artificial grassfor any purpose, get in touch with The Synthetic Grass Store, today! Kentucky Blue is a beautiful Field & fescue green with & Brown Thatch. Available in 4 different face weights. Perfect for Front Yards, Back Yards, Pets, and commercial applications. Kentucky blue Grass 88 offers an exceptionally plush feel with vibrant 2” grass blades designed to have a durable open ‘W’ grass blade shape for superior performance. 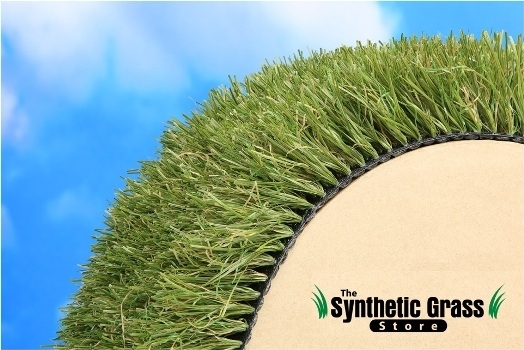 With a face weight of 88 oz., this durable synthetic grass also features an extremely strong backing where each grass blade is reinforced through advanced tuft bind technology. The backing is also perforated for drainage and U.V. technology helps prevent your turf from fading even in the sunny, desert climate. Guaranteed to last for years to come, Kentucky blue Grass 88 is the ideal synthetic grass for most applications. It is also available in 80 oz., 60 oz. and 40 oz. face weights. Organizing a beautiful lawn before your house or an office is indeed a tough job. But for most people, it is an elusive goal. Real grass requires a lot of maintenance measures and the scenario is different from artificial grass. You can get it installed and enjoy the greenery around you, hassle-free. Synthetic grass is one of the best options for people who do not want to take the hassle of growing the real grass. 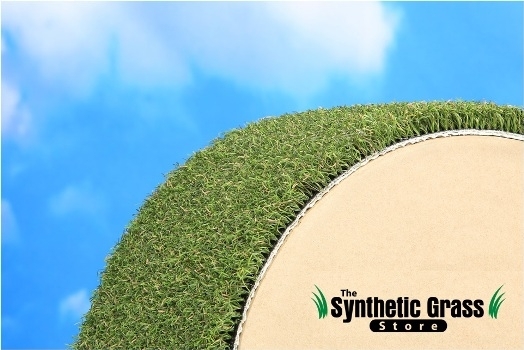 If you are in search of best blue grass, then The Synthetic Grass Store is your go-to option. We have been providing the artificial turf for our customers for many years now, and the quality and authenticity of our products has made us the pioneer in this industry. Pet Paradise, designed for easy maintenance and its field and olive green thatch stays beautiful all year long. Great for pet runs, doggy daycare facilities or other high traffic areas. Always green and easy to maintain, Pet Paradise is perfect for pets and people. A field and olive color with green thatching creates beautiful year-round lawn. Advanced drainage makes clean-ups a breeze. Use with ZEOFIL infill material to neutralize pet odors. You don’t need a pet to enjoy Pet Paradise turf! Pets love rolling and playing in the garden, making it their favorite pass time. 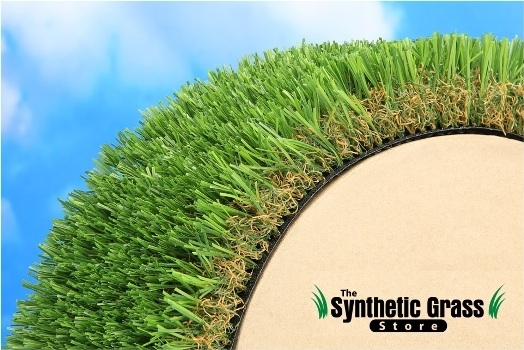 If you are unable to get real lawn, then why not provide them with synthetic grass? They would love it, and you won't have to handle cleaning, mowing or any other hassle that comes with real grass either. Here are some of the things that you have to know about our synthetic grass for pets. Less worry about Mud or Flees: Your pet can enjoy and walk around the lawn as much as they want without getting any mud or falling prey to a flee/tick attack when they are out there. Your pet will be healthy, and it will be able to enjoy rolling in the garden happily. Lead-free: Gone are the days when lead was used in synthetic grass. Nowadays, the latest synthetic grass doesn’t have lead in them at all, and you can get this artificial turf installed in your house without harming your kids or pets at all. No fertilizers or pesticides- This is the best thing about synthetic grass- it won't attract any kind of worms, bugs, etc. and there is no need for you to use pesticides on it either. Your pet can happily enjoy the garden without any chemicals around it. No Bacteria pileup- The original grass will attract a lot of bacteria, and these bacteria have the capability to hurt your dog. But this isn't the situation with the synthetic turf. These are some of the benefits of our synthetic grass for pets. We ensure that your dogs are safe with our turf. 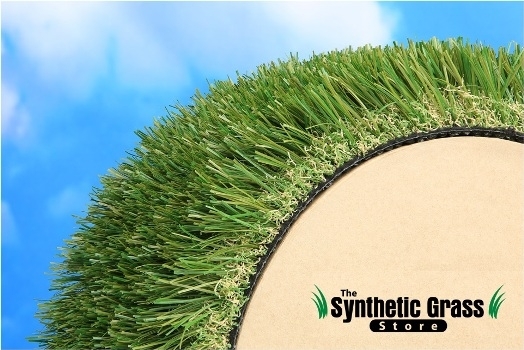 Get in touch with The Synthetic Grass Store to get the best and reliable toxic-free artificial grass for pets. Designed for areas with medium to high traffic, the American Dream Series is a perfect choice for commercial and residential applications. It sports a beautiful field green and olive blades with green and tan thatch. The American Dream Series offers a lush 1 ¾” blade height and realistic thatch. Well suited for areas of medium to high traffic. Achieving the perfectly plush manicured look has never been easier with the American Dream 75 synthetic grass. 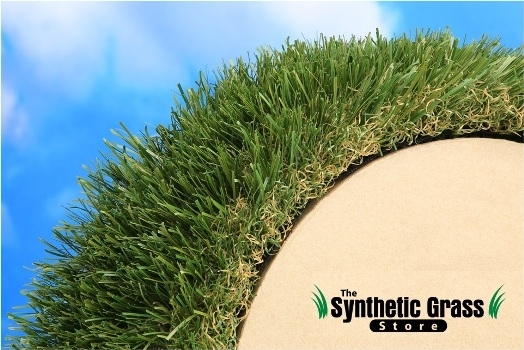 The Synthetic Grass Store has everything you need to create your own custom golf area or putting green. Choose one of our quality turfs and professional padding to find your perfect roll and be the envy of all your neighbors! Our Rye Series has the natural appearance and added softness to be a perfect choice for many commercial and residential applications. Medium to high traffic is no problem for these durable and versatile grasses! Summer Rye features dual shades of field and olive-green grass, Fresh Rye features a natural green grass. Both shaped into a diamond de-lustered extruded mold for added softness. 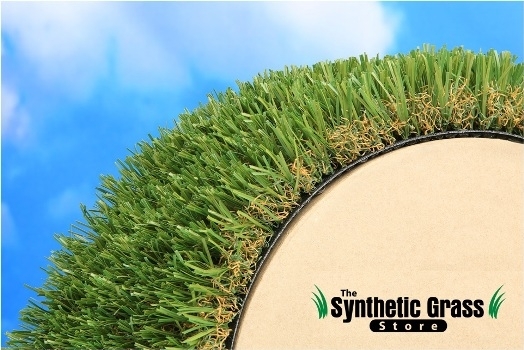 The 1 ¾” blades and delicate tan thatch layer make your landscape lush and soft under foot. An excellent choice for a natural appearance in medium to high traffic areas. Tahiti 68 is a great choice for any front or backyard application. Versatile and beautiful with field green and olive with green and tan thatch. Tahiti 68 the right choice for homeowners who are seeking a well-manicured look for their lawn.